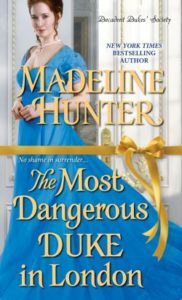 Just a reminder that if you pre-order The Most Dangerous Duke in London by May 29, you will receive bonus content on May 30. You can also enter an exclusive giveaway. Just go HERE and fill out the form. Booklist has weighed in with its review of The Most Dangerous Duke in London and I am so delighted! My Parlor Talk members were invited to try for a chance to become part of the Review Crew for my upcoming release, The Most Dangerous Duke In London. Only 25 were selected by random drawing. They’ve already been notified. Thank you all for your interest and thank you in advance to the ones selected for your honest review. All reviews help.